A tragedy at a Kentucky grocery store could have been much worse had it not been for the intervention of an armed citizen. 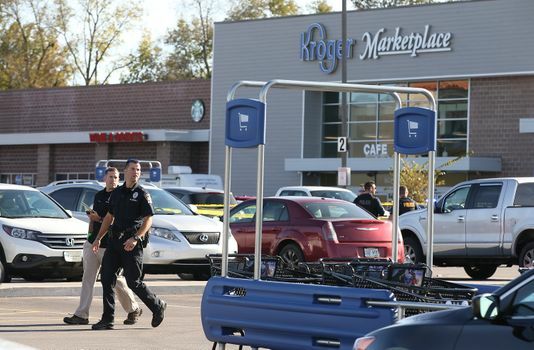 Police say that an armed man opened fire in a Kroger grocery store, in the 9800 block of Taylorsville Rd, late Wednesday afternoon. The man fired multiple times at a man in the store, killing him. He then fired additional rounds at a woman in the parking lot, killing her as well. Police do not think that the victims had anything in common, leading to the idea that the shooter likely intended to kill as many people as possible. But authorities say that the killer was stopped in the parking lot by an armed citizen, who exchanged shots with the gunman. Neither man hit his intended target, but the killer immediately fled the scene in a vehicle, ending the attack. He was taken into custody a short time later by police. ← Her Protection Order Failed, Her Gun Didn’t!